Flight sims seem to come and go, and lately they are not even coming close to some of the classic air combat flight sims of a few years ago. 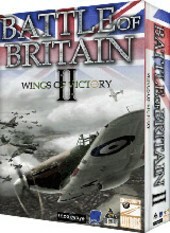 One such flight sim that continues to keep me coming back for more is Battle of Britain II Wings of Victory. Out of the box the game may have a few crash to desk top bugs, but thanks to Shockwave and other dedicated fans the patches have not only made this an enjoyable game, but has many time breathed new life into it. Even mid grade machines should be able to play this game to great effects, on the Alienware system it screams and makes the dog fights that much more nerve wracking as I try to get a German fighter in my sights. To get more insights on this spectacular game and appreciate all its nuances you can visit some of the forums, like the folks over at SimHQ, AirWarFare, or Shockwave Productions itself. 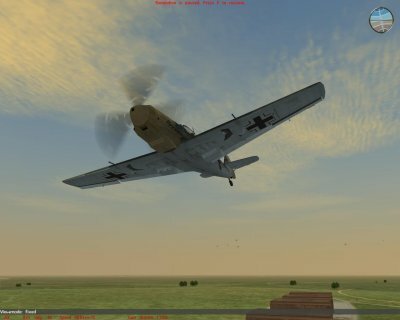 BoB2 is an immersive game that has some slight tactical planning thrown in for good measure, not a lot mind you, as you can get patrols flying in the air and support manufacturers working on supplies, then jump into the cockpit of an aircraft when there is an encounter. I've always liked this about the game. There is nothing like flying along in your RAF fighter looking for some trade and seeing dozens upon dozens of enemy aircraft from time to time through the cloud cover. Just when you think the bombers are easy pickings the German fighters come in and it's an all out hairball of a battle. Now it's rather odd to speak about flight models when it's just simulated, nothing on the PC can simulate the feeling of a negative G dive or snap roll. On the other hand the flight model for BoB2 Wings of Victory is darn fun. Graphics while ever so slightly dated, still stand up to the test of time and gives very satisfying visuals, from different clouds to gun fire and explosions and of course the stars of the game, the aircraft, from the outside and to the insides of the cockpits. They look spectacular in all their historical glory. The blasts of gun fire and roar of the aircrafts engines all give the you are their feeling. 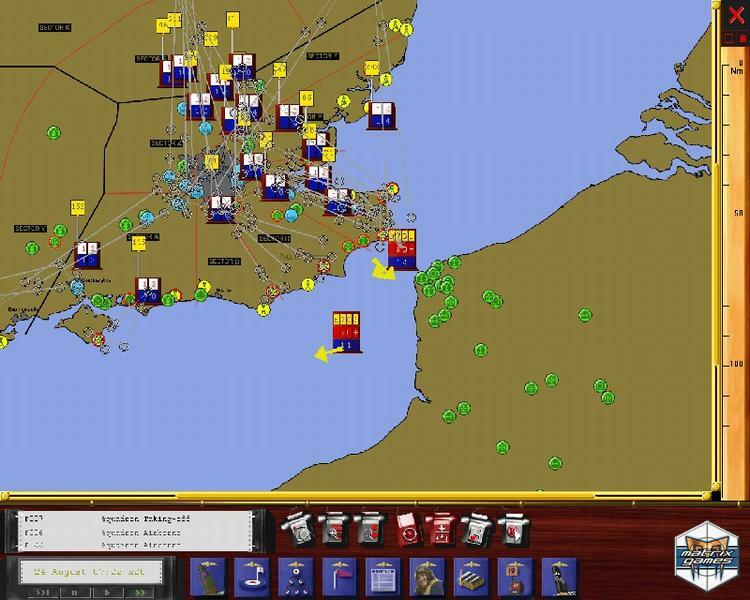 The North American version of this game is different from the European Version and comes with a full 19"X14" map, keyboard template, 140 page printed manual, and a DVD Documentary on the Battle of Britain. As if the game was not enough, all these little extras are of course very much appreciated. For a full out WW2 air combat experience and maybe a bit more of an appreciation of what the pilots in those had to go against, check out Battle of Britain 2 Wings Of Victory.